Well, it was about what I expected. Arizona is probably a better-than-average Pac-10 team, possibly a contender in that league (although Oregon has to be the favorite). 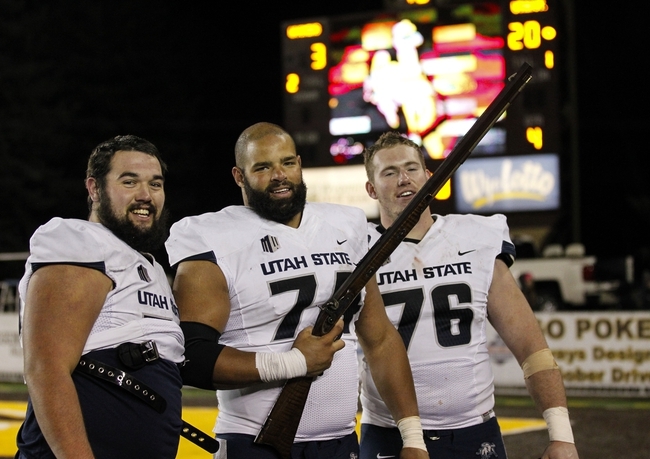 The Wildcats did what top-25 FBS teams are supposed to do when playing an outmanned FCS squad. 1. It wasn’t a complete debacle. I was worried that even if The Citadel were not completely overmatched, the nascent offensive system would turn the ball over repeatedly and give Arizona a bunch of easy points. Other than a couple of mini-stretches late in the first half and early in the second, however, that didn’t happen. 52-6 may not look that great, but it’s a lot better than 82-6. 2. Apparently the Bulldogs came out of the game relatively unscathed. Kevin Higgins mentioned Alex Carr and Tolu Akindele had been banged up in his press conference, but he didn’t rule any player out for the game against Presbyterian. Two players Higgins didn’t mention but who I wondered about (in terms of injuries) were Johnathan Glaspie and Tyler Starnes, both of whom took big hits during the game. Glaspie actually re-entered the game after taking a shot earlier in the contest. (Judging from his expression as he walked off the field, I wasn’t sure he knew if he was in Tucson or still playing for Spring Valley High School.) Starnes got somersaulted on a carry near the end of the game; it’s a wonder he didn’t suffer a serious leg injury. — Edit: According to Jeff Hartsell, Higgins did mention Starnes in his Monday presser. 4. Sam Martin did a nice job running the offense when he entered the game. I went back and noted who was in the game for Arizona on defense when Martin began his first drive. The Wildcats had nine of their eleven defensive starters in the game, plus two other players who were in their regular rotation on the line. In other words, he wasn’t playing against walk-ons when he led The Citadel to its first score. 5. Although he didn’t throw the ball real well and didn’t have much luck moving the team, Matt Thompson never seemed to panic and maintained his poise. 6. I agree with Higgins that the tackling was better against Arizona. However, I think it still needs improvement. 7. Terrell Dallas showed flashes of what he’s capable of accomplishing in this offense, which is a lot. 8. 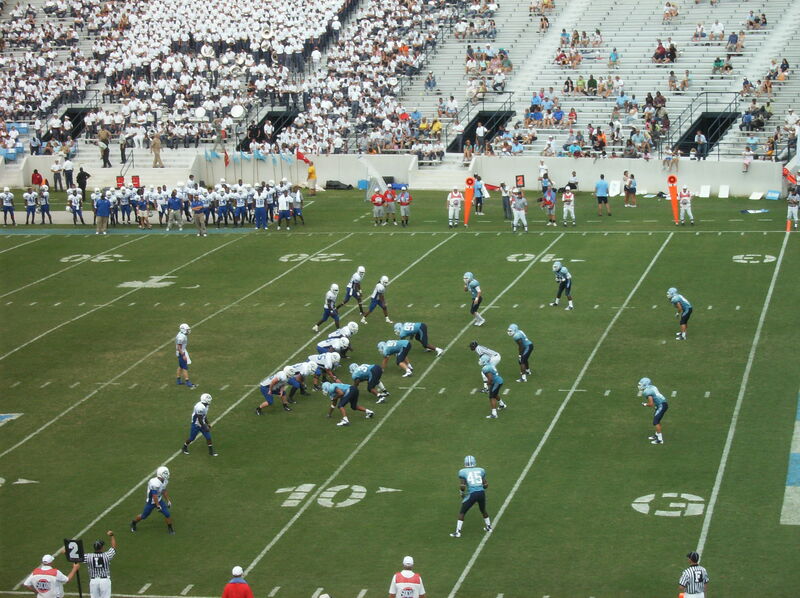 The Citadel got an encouraging performance from its special teams units. Cass Couey had an excellent game. I bet he enjoyed punting in the desert air. Sam Keeler made both of his field goal attempts; I hope that will improve his confidence. The coverage teams did a nice job, and freshman Terrance Martin established himself as The Citadel’s primary kick returner. 9. The Bulldogs only committed two penalties for a total of nine yards, my favorite statistic from the game. More of that, please. Obviously, there were negatives unrelated to the competition that need to be addressed. Some of those for the offense would be the center-QB exchange, the pitch techniques, and the dropped passes (hopefully an anomaly). The defense must continue to concentrate on tackling, and the back seven must show more dynamism. There are more observations to make about what will (or should) happen going forward, of course. I’ll try to mention those in my preview of the Presbyterian game. That wasn’t surprising. An early September day in Charleston is a good candidate to be hot. I think the heat/humidity combo in Charleston at this time of year is actually worse than that of Columbia, and everyone knows how hot Columbia can get. The game started promptly at 1 pm. Thus, it was hot. The heat probably was a factor in the announced attendance of 9,106. 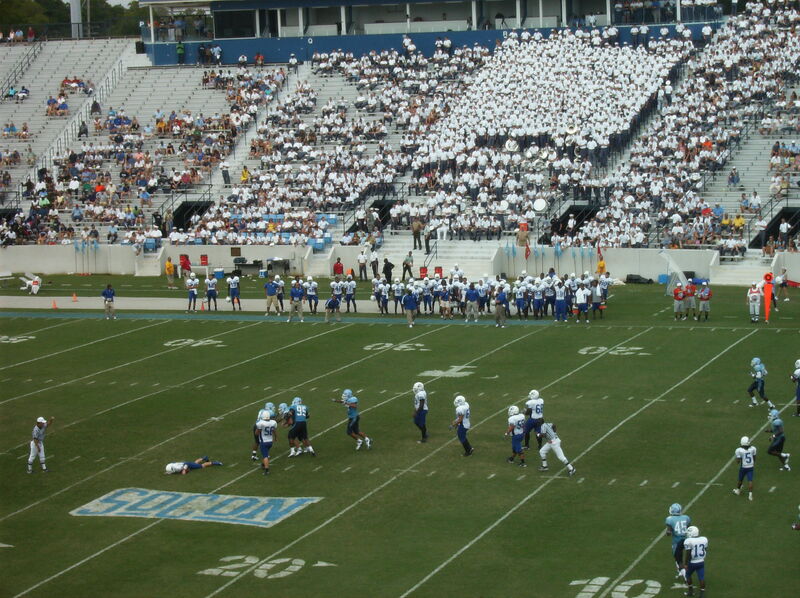 That’s the lowest home attendance for a Bulldog home game since the 2004 game against Benedict (5,127). I was there for that one too; that was a Thursday night “experiment” played during the period the home stands had been dismantled. Also a factor, of course, was the anonymity of the opponent and the program’s lack of success in recent years. 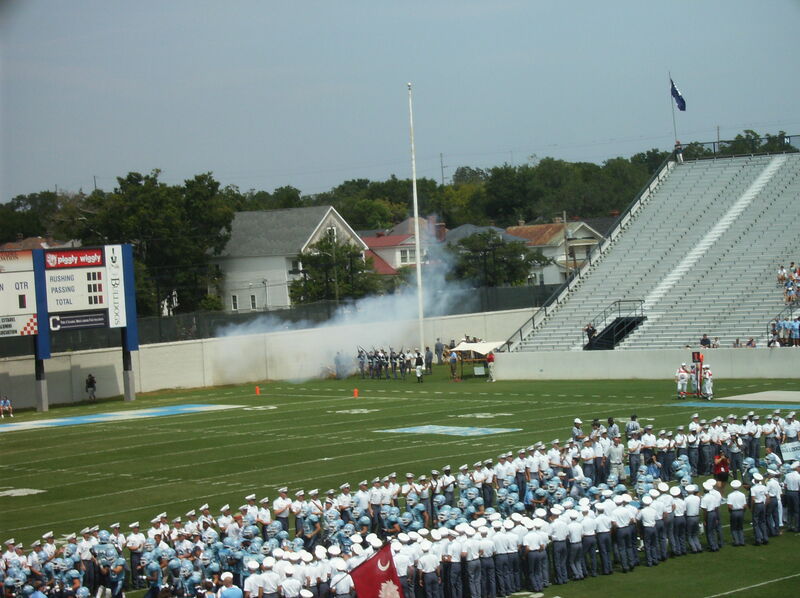 I think that even if The Citadel had been playing a name opponent after coming off a winning season, though, the 1 pm start time might have turned off a lot of people. The early afternoon start times are convenient for me, but in the main most fans (or potential fans) don’t want to be in the stands at that time during late summer. As was pointed out to me, however, the Frosty accompanying the attendance announcement on the scoreboard filled up anyway. Imagine if we had 15,000 or so in attendance; the cup would have overflowed. What a waste of Frosty that would be. 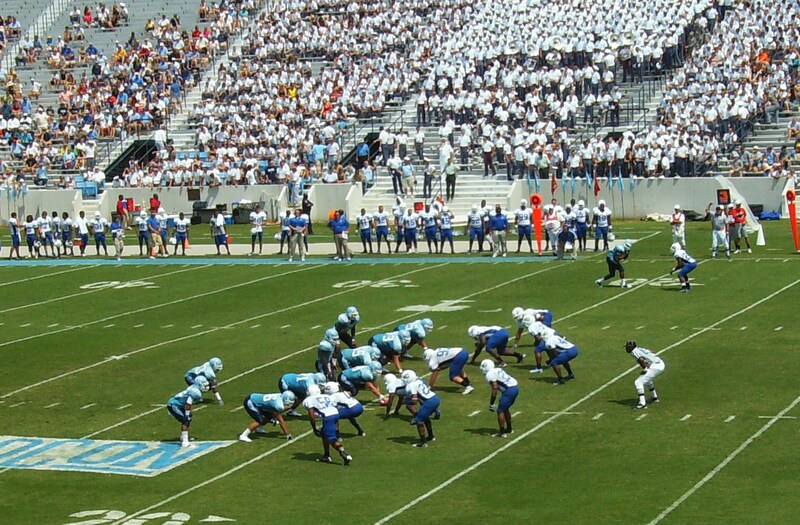 — Late in the second quarter, Chowan gave up 28 points in 1:18 of game time, which is not easy to do. The score went from 21-0 to 49-0 while a good chunk of the crowd was underneath the stands, having left early for halftime. I’ll say this for the Hawks, though — they didn’t quit. It would have been easy to mail it in after such a demoralizing sequence of events, but Chowan scored on its first two possessions of the third quarter and played hard throughout the second half. — The “triple option” offense, it seemed to me, was for the most part restricted to two options rather than three. There weren’t a lot of plays that led to a pitch, or the chance of a pitch. I thought the game plan was conservative, which was not inappropriate, but wasn’t all that effective either. The blocking needs to be improved, particularly on the perimeter. — I was a little disappointed in the defense, which allowed a number of long drives and big plays. Twice Chowan got to the Bulldog 1-yard line in the first half and failed to score. 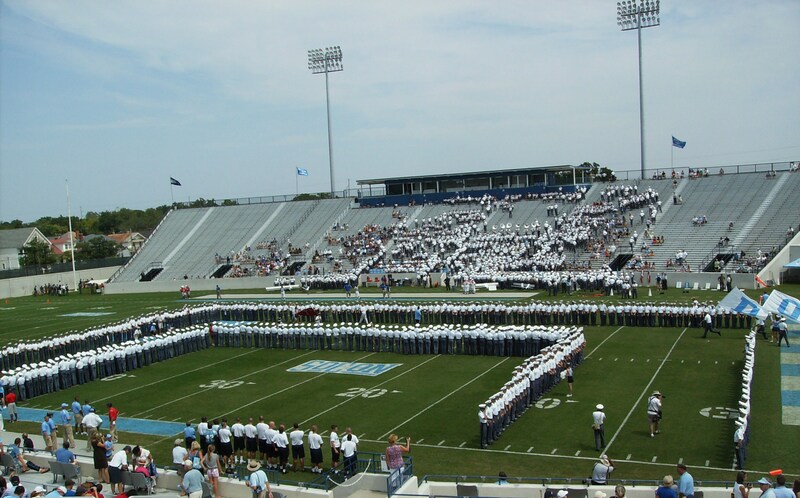 I guess you can credit The Citadel’s D for making the stops when it mattered, but in both cases it had more to do with Chowan shooting itself in the foot than superior defensive play. The defense missed too many tackles, and the secondary blew some coverage assignments. Part of the latter had to do with different personnel getting a chance to play, which is understandable. There is no excuse for missing tackles, though. The defensive line played well, although the second Chowan TD came on a play during which a lineman whiffed on an easy sack. Here is a before/after shot sequence for fans of the D to enjoy, though. Chowan is about to snap the ball on a 4th-quarter play where it has the ball on the Bulldog 12, second-and-7. The second picture shows the aftermath of the play, thanks to Derek Douglas (Chowan would eventually miss a FG on the drive). — I thought Matt Thompson had a good game, although I wouldn’t anoint him the permanent starter just yet. I think Ben Dupree deserves to get some time, too, and I also think Sam Martin should continue to get some looks. Thompson did show a good throwing arm. It helped that he had Domonic Jones as a target. Jones is 6’5″ and plays every inch of that. He should be causing problems for SoCon defenses for several years to come. — I noticed there were no names on the jerseys, which I thought was interesting. The light blue jersey/navy pants combination still looks awful. I’ll write about the Arizona game in my preview of that matchup, but suffice to say it’s going to be a major challenge for the Bulldogs. I was impressed with the Wildcats when I watched them play on Friday night at Toledo. Arizona has serious playmakers at quarterback, running back, and receiver, and a solid defense. 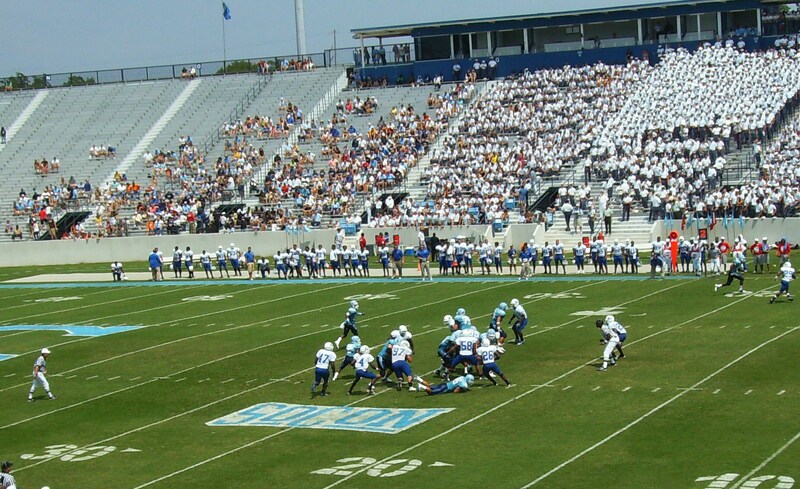 The one thing going for the Bulldogs is that the desert heat should not present any problems, after playing in the heat and humidity of midday Charleston. 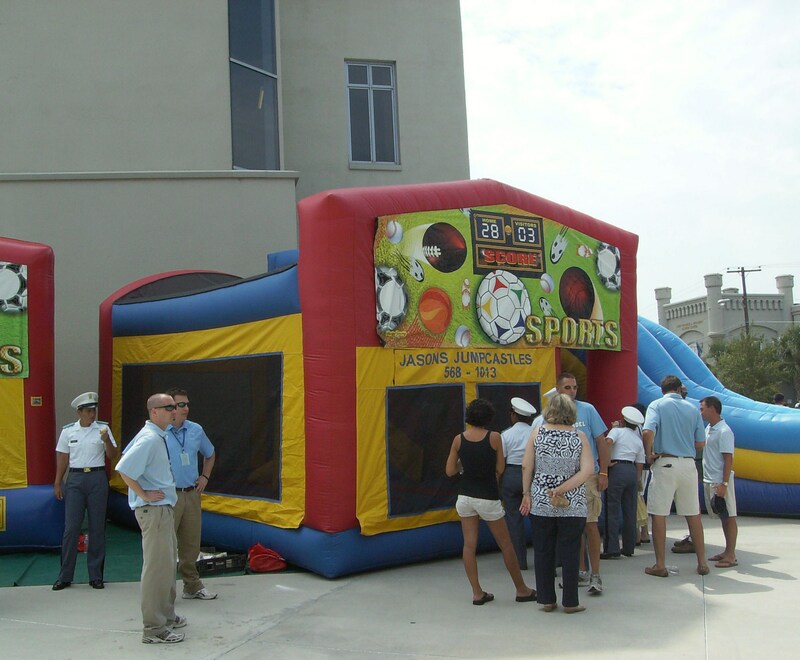 The new “Kids Zone” debuted on Saturday. This is a good idea and I was glad to see it. 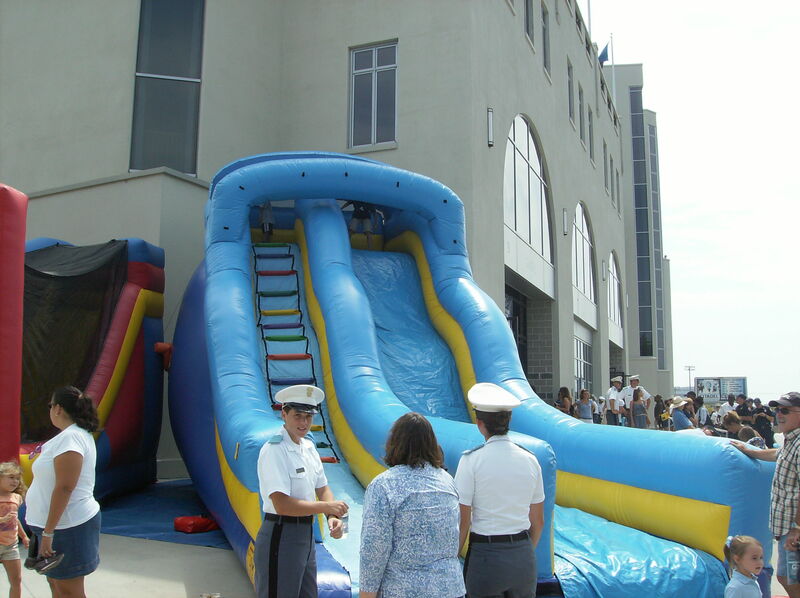 I even took a couple of pictures of the KZ (in one, a cadet is staring almost directly into the camera, clearly wondering to herself why someone would be taking pictures). I took this picture (which includes the captains about to go onto the field for the coin toss) just to show how hot it was. It was apparently too hot for General and Boo (note the absence of the doghouse, to say nothing of the dogs themselves). Edit: I just noticed that one of the dogs (probably General) is standing on top of a table near the top left of the picture, just outside a tent, being held on a leash by (I think) Mike Groshon. So there was at least a cameo appearance by the live mascot. You can also see the doghouse under the tent. Looks like they were trying to keep him in the shade as much as possible, which strikes me as a very good idea. Here are a few more pictures to end this post. 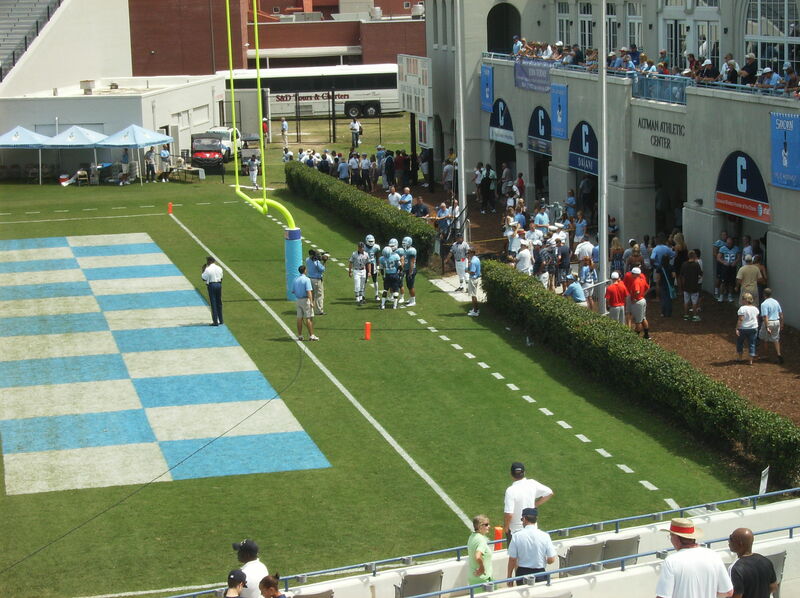 These are just some shots of the field just prior and during the team’s entrance. The last one includes some cannon fire in the background.